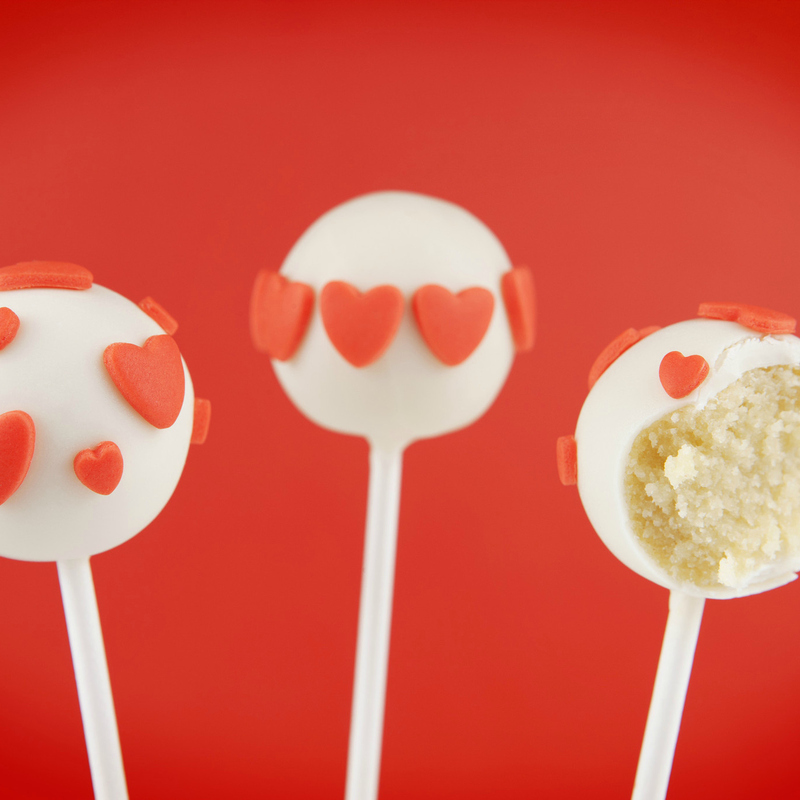 Valentine's Cake Pops With Hearts. Pack of 10. A lollipop stick is inserted before being given a generous thick coating of chocolate flavour melts. Edible heart decorations are added for drama.